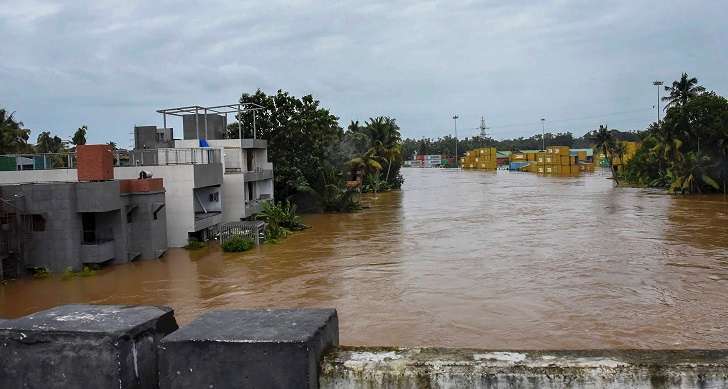 A flood-hit area in Kerala. The Meghalaya unit of the All India Malayalee Association (AIMA) on Wednesday appealed to the general public in general and the traders’ community of the State in particular to contribute to the flood victims of Kerala. Interacting with media in Shillong on Wednesday, president of Meghalaya unit of AIMA, G Pradeep Pillai said the organization at the state level had already mobilized the funds for the initial relief of the flood victims. He further appealed to the people to be part of the ‘Rebuild Kerala’ campaign by contributing to the Chief Minister’s Disaster Relief Fund account in various banks. He also said that the annual Onam celebration in the State had been cancelled while the money kept aside for Onam will be sent to help flood relief work. Earlier, the Meghalaya unit of AIMA has also submitted a letter to the Chief Minister Conrad K Sangma on August 20 appealing for help, and expressed gratitude that the government of Meghalaya approved Rs one crore for relief. On the other hand, AIMA in association with the Rotary Sohra Marathon will be organizing a funding initiative under the leadership of Nixon Joseph, president and COO of the SBI Foundation.